Picture taken from my groups adventure last night. I’m enjoying my new game table set up. 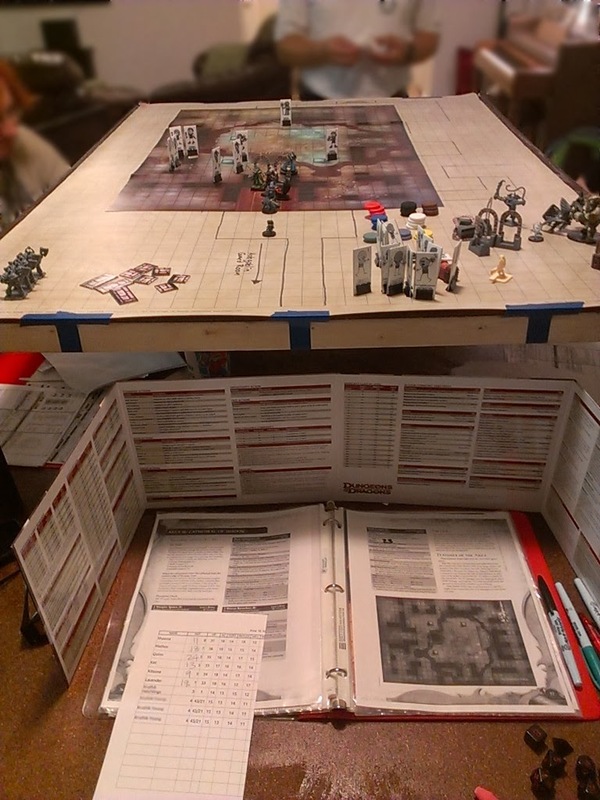 I made a small collapsible 3×4 table for the game map. Underneath that I have a 4×8 table top that separates into four sections. It really gives more room for the map and everyone’s papers with the double-decker set up. I was just getting frustrated with the limited space of the kitchen table and wanted something I could pull out just for game night.